Fall is in the air; the horses are getting furry and we’re putting on sweatshirts to go down for the morning feeding! 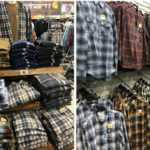 If you need a new sweatshirt – or jacket, vest, or raincoat – head into Rainbow Ag today. 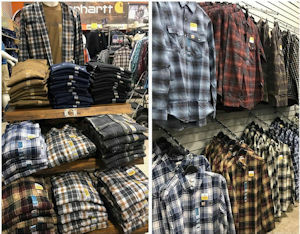 Tons of Fall clothing are arriving daily, including flannel shirts which are perfect for the crisp autumn weather. There’s also boots of all kinds, for everyone if the family. Work boots, dress boots, kids boots, ladies fashion boots and good old water-proof boots! There’s no excuse for being chilly while you’re cleaning those stalls. Fall is also a great time to stock up the barn with alfalfa hay, during the Fall Alfalfa sale, October 17 through 20th. Come in to book your quality, three-wire bales for only $13.99 per bale, any time during the sale, and pick up the hay by November 12th. Rainbow is getting a limited supply of only 5000 bales from our northern California grower, so there is a limit of 50 bales per customer. Mark your calendars and come order and pay for your hay at this great price, October 17 through October 20. New at Rainbow – Bar Ale products including Non-GMO Chicken Feed, Organic Alfalfa Pellets and Organic Livestock Mix! Also, we now have America’s Choice Mini-Flake Shavings. These super-absorbent small-sized flakes create less waste due to small, uniform size which slip through the manure fork tines easily, and they are dust-free! And new at Lakeport … Welcome to Jill Crane (formerly of Ag Unlimited). 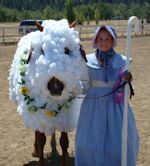 Jill will be managing the Lakeport Livestock department. Make sure to say hi to Jill next time you are in the Lakeport store. 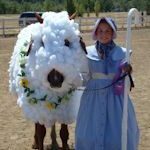 Dress up your pony or your small pet and join in the fun of Rainbow’s Halloween Costume Contest on October 28th. Bring your pet in costume to get discounts in the store, and win prizes for best costumes. Need some power, as in Outdoor Power Equipment? Save big on all outdoor power at the Cost + 10% Sale, November 3 & 4, at both Rainbow stores. In ancient times, a pristine sea evaporated leaving behind a rich mineral deposit deep within the earth in Southern Utah. Redmond Rock™ is a natural sea salt containing the trace minerals from that ancient sea. Due to intensive farming practices, most soils have become depleted of these life giving minerals, and crops grown on these soils with common N-P-K fertilizer are mineral deficient too. Redmond Rock plays an important role in providing these essential trace minerals missing from many forages. Horses thrive on the minerals Redmond Rock provides. In many cases, when given the rock for the first time, mineral deficient horses won’t leave it alone! 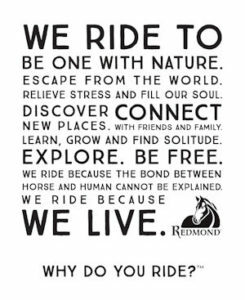 The minerals in Redmond Rock can help restore and bring your horse back into his natural mineral balance. 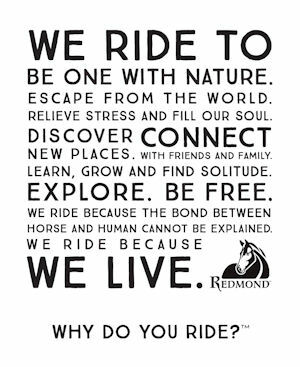 Learn more at Redmond Rock’s website www.redmondequine.com/redmond-rock/ and then, save 20% off of any Redmond Rock size 7# to 11# with this month’s OTRL Subscriber Coupon. Trivia Contest – Did you know your fire tools? The correct answer was, #3 is a McLeod tool. The winner is Jennifer Roschi. This month’s question is, What is new at the Lakeport Rainbow Ag? Enter here to be eligible for a $15.00 Rainbow Gift Card! This entry was posted on Saturday, September 30th, 2017 at 3:04 pm	and is filed under News, On The Right Lead Newsletter. You can follow any responses to this entry through the RSS 2.0 feed. Both comments and pings are currently closed.